When it comes to getting your press releases noticed, there are a few things to consider to make it shine. Before you even begin, you have to ask yourself this tough and real question. While your announcement may be important to you and your organization, what about the public? Or better yet a journalist whom you hope is going to pick up the story? These reasons are more tangible because customers and partners can benefit from them in some way, so they are more apt to care about the announcement. Just like with any form of writing, press releases have a preferred format by nature. Formatting your PR correctly also increases your chances of being seen and taken seriously. Additionally, the format is also useful in forcing you to focus your writing to be more concise in your message, so you only include the relevant parts rather than drone on and on, thereby boring or losing people. Writing a good headline can make or break your press releases as they are how people will judge the rest of the document. Most reputable reporters get hundreds of emails per day and get burdened with sifting through them all looking for that diamond in the rough. Coming up with a juicy headline that is both intriguing and crystal clear about what your announcement is the key to getting noticed among all the other noise out there. However, getting overly creative can sometimes muddy up what precisely your announcement is; to avoid this pitfall, think about what your announcement is clearly and work to make it more concise into a single line, no more than ten words in length. Overly detailed back stories are better suited for long-form articles, but press releases are more fickle and require a short-and-sweet approach. Any audience reading your press release needs to know the who, what, where, when, and why all within the first paragraph, preferably within the first sentence if possible. From this initial introduction, customers and journalists alike will decide whether this PR is worth their time or not, so hook them from the beginning! As mentioned above, short and sweet is the name of the game. Keep your content to one page if at all possible so that you give the reader enough to chew on without becoming overwhelming or long winded. Press releases and journalists are a bit like resumes and recruiters: the person gets a lot of that document type, and want to know what they are reading within only a few seconds. If your message is unclear at the beginning, your amazing story may find itself in the trash bin. Your claims about a new product, partnership, etc. aren’t complete without someone from your organization commenting on the matter. Quotes from prominent or directly-involved team members and executives can add a more human element to the quick-fire barrage of information contained in press releases. However, it’s important that the person you are quoting is providing insight rather than more information—that’s what your sources are for. People are more interested in what your organization has to say about the announcement over more numbers being parroted by a team member. Quotes are the heart of your PR, so give it some feeling. Nothing says “Notice me” like visual aids! When you are trying to tell a complicated story in a concise manner, sometimes providing people with a visual to associate with your announcement can help immerse them in its importance to your organization as well as reinforce why they should care. Videos are very helpful in telling your story beyond the page limitation and giving others more to think about without being overly encumbering. Including real facts, statistics, and statements into your message can help readers to see the value in your announcement. However, merely saying the facts themselves without proof can compromise the legitimacy of your claims. Add in hyperlinks to your source material so people can see that you know what you are talking about and base your claims on more than just clever keywords. Many people forget these small yet important details, but they are perhaps more important than the message itself sometimes. Once you’ve made your announcement, it must inspire action on the part of your readers, usually in the form of visiting your website or contacting your office for more information about your announcement. If that is your call-to-action, be sure that you have a name and contact information at the bottom of your press releases to receive those calls and emails. This one should be a no-brainer, but it’s still surprising how many people overlook this step especially when they are in a rush to get press releases out. Having cosmetic mistakes like these can make you seem unprofessional and not detail-oriented enough to customers. Additionally, customers will wonder if you make other mistakes as well and may begin forming less than flattering assumptions about your organization. 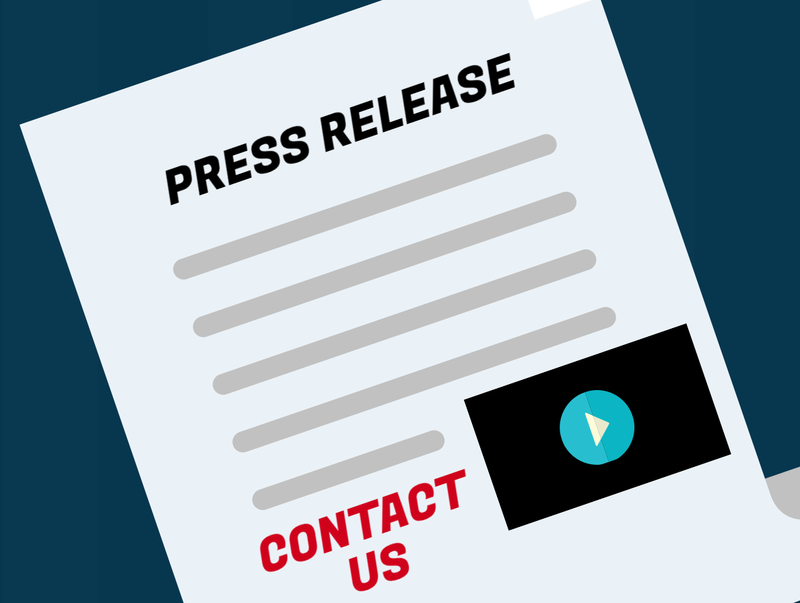 When sending your press releases out to possible customers and media outlets, it’s more efficient of your time and efforts to only send your press releases out to people who can appreciate what you are telling them or within your industry. Using a target audience for customer outreach and a professional network is likely to be much more effective than sending your press release out to random people hoping something will stick. When you send out your press release is more than just finding the time frame of the week for the highest open rates. While that is important, you also do not want to send yours out when everyone else does because it runs the risk of being thrown out only due to a numbers game and a shorter attention span from journalists; namely, don’t send your out on the hour. Additionally, you should send word to media outlets ahead of your actual release date so that if they are interested in running a story about the PR subject matter, they have time to construct a story to coincide with your release time.